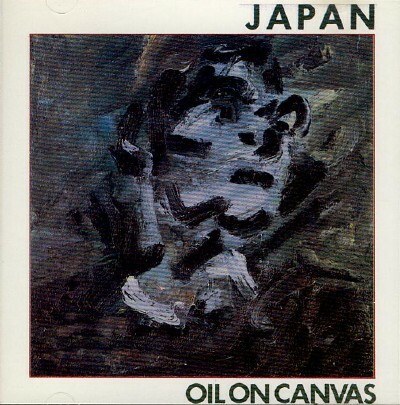 Oil On Canvas was first released on video tape in April 1983, followed by double LP and single cassette in June 1983. Since that initial release the audio version has remained in print somewhere in the world until the present day, albeit with some subtle differences along the way. This article explores those differences and is a guide should the completist in you want to have them all. This is the full version of the album as released on vinyl. Most CDs are different because of the tracks included, and edits made prior to mastering. The early Japanese CD releases in “fat’ jewel cases pressed onto two CDs feature this version of the album. This version of the album was adapted from the original due to early CDs only being able to play back approximately 60 minutes of music. 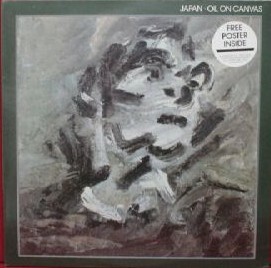 This version of the album was initially released in 1984 in the UK, Europe and Canada on CD. This version omits “Gentlemen Take Polaroids” and “Swing” entirely, and there are other differences noted below. 2 – track indexing means that “Visions Of China” includes the long instrumental intro to “Ghosts”, so when you select track 5 (“Ghosts”) it plays from the familiar synth notes that start the studio version. 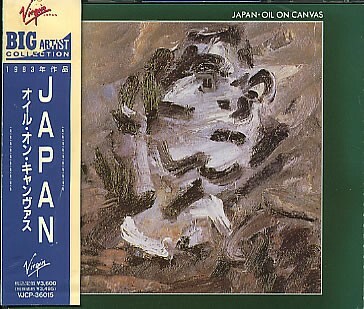 In October 1990 a small box set of the Japan albums on Virgin was released in the UK and Europe. All discs were picture CDs. One of its selling points was that it included “Gentlemen Take Polaroids” and “Swing” for the first time on CD (except in Japan – see V1 above). Sadly there was a product recall as all copies initially pressed still featured the 1984 master (V2 above) with only 13 tracks. Following fan complaints replacements were supplied but the process was not easy, took a long time and the replacements were not (to my knowledge) picture CDs. In 1992 this corrected version was released quietly in the UK and a year later by Caroline in the US. The UK/European versions have a dark green border on the artwork, the US versions have a white border but the rear mentions all 15 tracks. This features remastered audio but uses the same content as the 1992/1993 CDs, with the same edits and breaks. It is however a bit louder and comes with different packaging. This has the exact same content as V4 but is presented on 1 CD. This is the version currently in print worldwide. Are there any more official versions out there? Don't rain on my parade: web design and content © 1996 -2018 Paul Rymer unless stated otherwise. All rights reserved. This is a fan appreciation site and is not affiliated to any of the record companies who have released material by Japan. It has not always been possible to establish who the copyright owner is for all of the material on this website. Please feel free to contact the webmaster with any questions.